Looking for an accessible medical career? Doctors often get most of the prestige – and the paycheck – in the healthcare industry, but nursing can be just as personally rewarding. 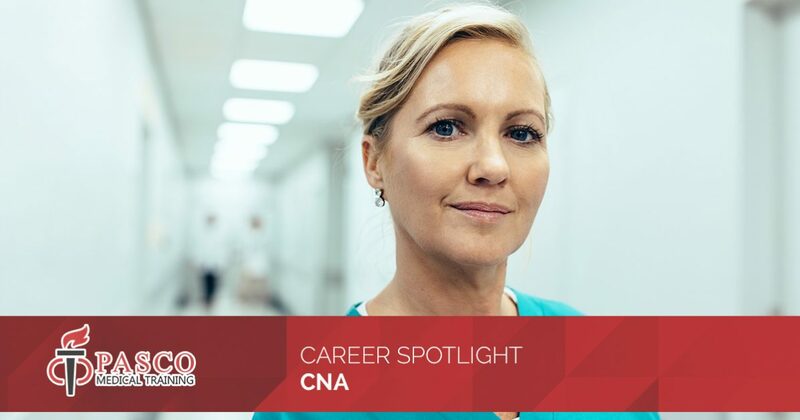 Becoming a CNA doesn’t require the same stringent education requirements as becoming a doctor, making it a faster and more affordable way to make a difference in the lives of patients. Interested? Continue reading to learn more about the position of certified nursing assistant, and enroll in CNA classes from Pasco Medical Training today! “CNA” stands for certified nursing assistant. There are other names – and acronyms – that can refer to the same job, such as nursing assistant (NA) and patient care assistant (PCA). As the name implies, a CNA acts as an assistant to a registered nurse (RN) or licensed practical nurse, helping them manage the patients in their care. 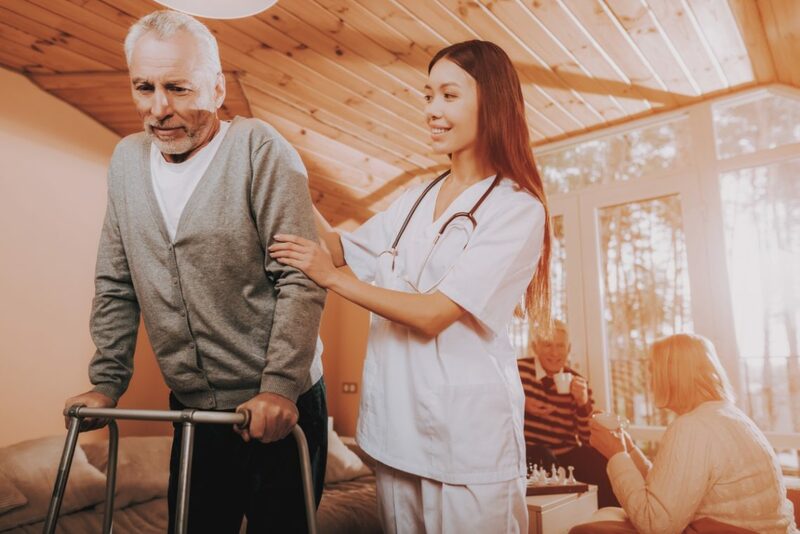 The type of patients certified nursing assistants work with will depend on where they are employed, but it can vary from patients recovering from surgery or debilitating injuries to elderly people struggling with the effects of age. While it is not always a glamorous job, CNAs have a big impact on the quality of life that patients experience while undergoing medical care. Some CNAs may also work as home health aides within a patient’s home. Certified nursing assistants are typically paid by the hour rather than with a yearly salary, so an individual’s earnings will depend on their work schedule. Some fields may also pay better than others. According to the U.S. Bureau of Labor Statistics, the mean annual wage for a CNA in 2017 was $27,520. Fortunately, demand for qualified healthcare professionals like nurses is very high, jobs are readily available, and the need for these positions will only increase. Like with many jobs, accrued experience and additional certifications can lead to bigger paychecks. Some employers may even pay for continuing education, advanced degrees, or further certifications. Becoming a certified nursing assistant offers a good foothold in the healthcare industry, and those with further ambitions can use the position of CNA as a career stepping stone to becoming an RN. Being a certified nursing assistant requires a strong basis of knowledge and experience, and it is made more accessible by affordable education programs like those offered by Pasco Medical Training. In addition, CNA training includes at least 80 hours of combined classroom instruction and hands-on training, at least 40 hours of supervised clinical experience, and a minimum of 12 hours of in-service training every year. Pasco Medical Training offers all of that and more with our Pasco County CNA courses. Enroll in CNA Classes Today! Are you excited by the prospect of a healthcare career that helps you make a difference? Sign up for CNA test prep courses from Pasco Medical Training today! We offer daytime, evening, and weekend classes from our licensed education center, and we currently have the highest pass rate for any Florida medical training facility. Start your career with success — enroll today!